Paul Roczek grew up in Vienna surrounded by magnificent musicians. His two highly talented children, Leonhard and Saskia both live there and have embarked on successful musical careers. The violin was decisive for Roczek’s destiny and thanks to his early mastery of the instrument he joined the Vienna Philharmonic, playing later also with the Austrian Soloists and the Austrian String Quartet. As first violinist in this ensemble for thirty years he performed in concerts throughout the world and made many recordings for radio and on disc. In 1969 he was appointed with this quartet to the Mozarteum Academy of Music, as it was then known, and his growing interest in teaching as well as in organizational activities soon took him to higher positions. Professor, head of department, deputy vice-chancellor and artistic director of the International Summer Academy of the Mozarteum were the characteristic landmarks in a successfully evolving life of an artist. He was invited to sit on juries of major international competitions and to hold master-classes in important music academies. As president of the expert committee of Musik der Jugend since 1996 he is mainly responsible for the continued flourishing of the official Austrian music competitions for young people: Prima la Musica, Gradus ad Parnassum and Podium.Jazz.Pop.Rock. 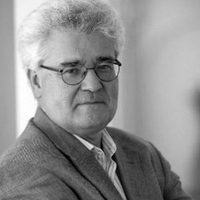 In 2006 Roczek was commissioned by the Universität Mozarteum Salzburg to take charge of international relations. In this function he aims to consolidate the international reputation of this famous institution and to devise artistic projects and various exchange programmes with major partners around the world. Besides intensive contacts with many European academies in the context of the Erasmus programme, a programme has been evolved with the Guildhall School in London and the McGill University in Montreal. Once a year string quartets and piano trios of the participating institutions are sent on an exchange basis to the others where they receive intensive teaching in chamber music and also perform concerts. The Tchaikovsky Conservatory in Moscow has also recently joined this project. At the China Conservatory in Beijing the Austrian Chinese Music University was further developed in the sphere of string chamber music and keyboard instruments. In September 2015 a European music university will organize an international instrumental competition in Zhuhai in China. Other exchange projects at the Kobe College in Japan and in Havana in Cuba as well as assistance in setting up high quality summer academies in South America are further major focal points in a rapid intensification of international cooperation which aim to strengthen the prestige and influence of the Universität Mozarteum Salzburg.